My wife and I paid our first visit to the Shoppes at Sands last week. Okay, I’ll be honest, we really went to go to Peeps and Company, the other stores were an afterthought. This is Just Born’s third Peeps and Company location and we had visited the location at National Harbor in Maryland, just outside Washington, D.C.
After a warm welcome by the staff and a taste of a Peepster (Vanilla cream inside a dark or milk chocolate shell), we explored. There were all things Peeps, Mike and Ike, Hot Tamales and Goldenberg’s Peanut Chews. There’s clothing, plush peeps, books, toys and a lot more. The back wall is a huge dispenser for various flavors of Mike and Ike and increasing “heat” of Hot Tamales. You can get tubs of Goldenberg’s Peanut Chews (I’m so glad they decided to bring back the original name and packaging! ), bulk chocolate covered peeps, and a lot more. 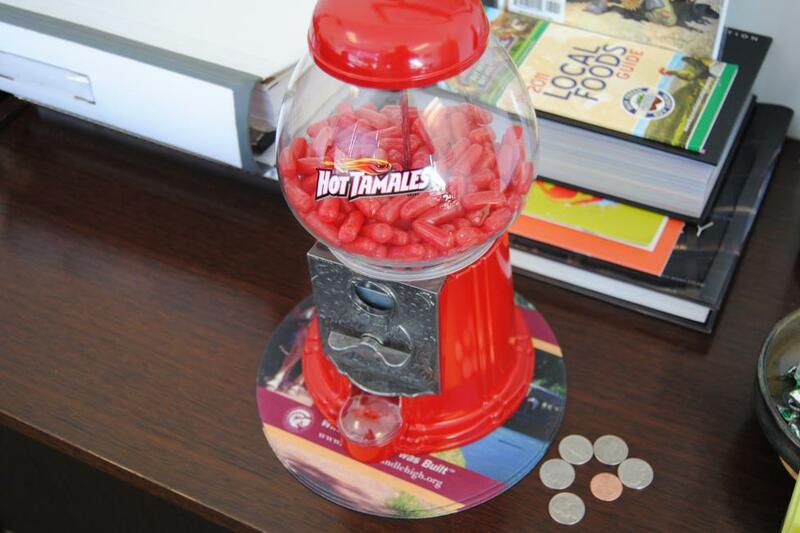 We could not leave without purchasing a “gumball” dispenser for Hot Tamales. It’s now sitting in my office – and I’m keeping it set so that you need to pay to get any, mainly because I’d eat too many in one sitting. There are special deals, and I don’t know if it’s a short term special or not, but Lehigh Valley locals get an additional discount. We wandered through the other stores in the complex and saw some great gift-giving opportunities. The two levels of shopping offers a relaxing getaway from the casino floor or a destination in case you just want to shop. When will you be visiting the Shoppes at Sands?